Stressless Opal has a modern, comfortable and fashionable look that goes together well with the Stressless Sapphire Sofa. 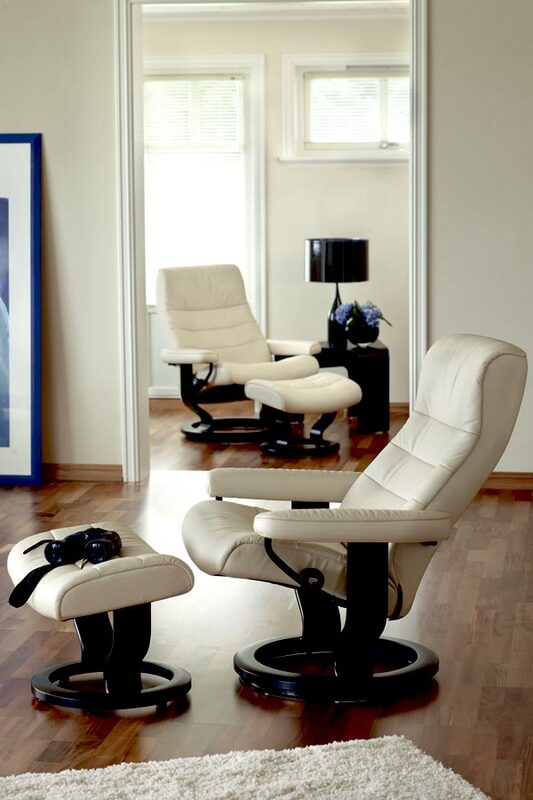 Stressless Opal boasts all the same features for which Stressless is famous, including the patented Plus system, which provides perfect support for the lower back and neck in all positions. The Comfort Zones in the seat let you sink deeper into the seat and back. 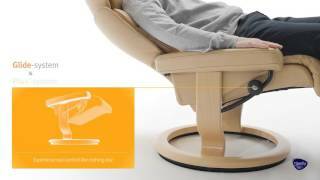 The glide function follows the movement of the body and adjusts to your body weight. The footstool features the same function and together guarantee ultimate sitting comfort.